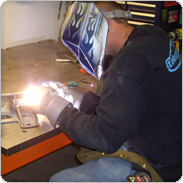 DT Products, Inc. home of DTPROFAB.COM and TABZONE.COM was started in 1990 by Prescott, AZ local, David Turbyfill as a fabrication and welding repair shop. Its humble beginnings were located in 800 sq ft of a sublet portion in the back of a local towing company. 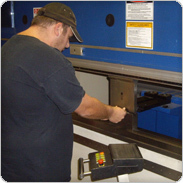 Over the years as growth warranted, DT purchased its current facilities of approximately 10,000 sq ft which was constructed for DT Products needs. 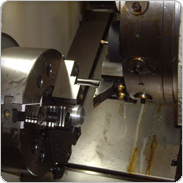 Housing all the equipment necessary to manufacture, fabricate and distribute the various products produced. 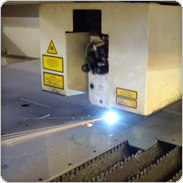 In early 1999 DT took delivery of the first installed 4000 watt Trumpf laser cutting equipment in Northern Arizona. Since then, 2 CNC press brakes, a CNC lathe and other various equipment and machinery have been put into place to support the business demands. 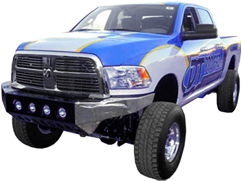 It is DTs passion for Dodge trucks that created DT PROFAB in 1996 with the main focus on the design and manufacturing of an extensive in-house line of unique Dodge truck and Jeep suspension components and accessories. 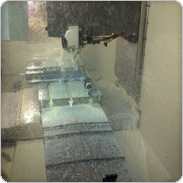 DT PROFAB offers an online store reaching customers internationally at WWW.DTPROFAB.COM. Doing business with and for people with the same passion for trucks and off road racing is a way of life DT has chosen for the long haul. 21 years and going strong! We look forward to working with you on your projects!